Our own Centre of Expertise. Sound knowledge as a competitive advantage. Experience our products first hand in actual situations. In the FAHRION Centre of Expertise, you can test our products closely and extensively - in real production scenarios and on request even with your own materials and cutting tools. Our Centre of Expertise is equipped with a Mikron HPM 600 HD Step-Tec spindle. This machine fulfils all specifications for the HSC and HPC technologies. It is capable of measuring, displaying and evaluating different loads on the spindle or collet respectively. 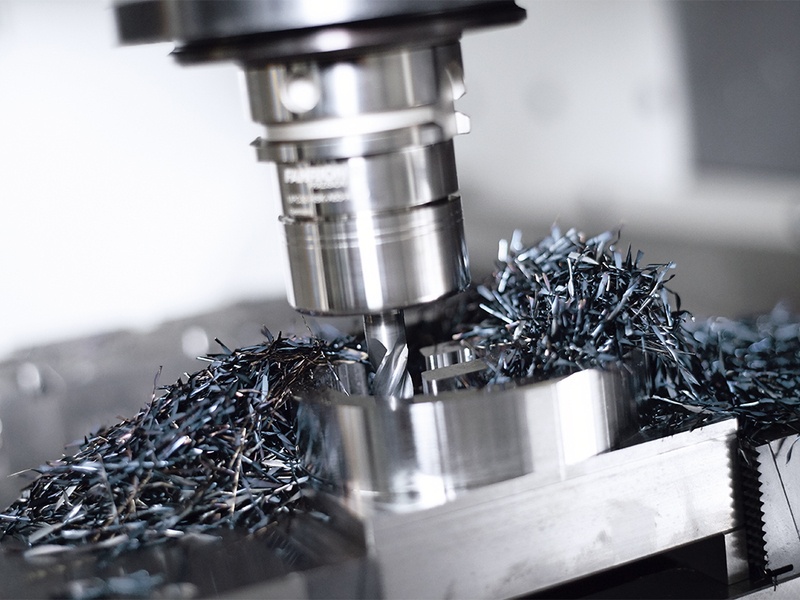 We can extensively test our collets and collet chucks here, even under extreme conditions, without causing interruptions in production. Our main objective, however, is for you – as customers and partners of our company – to be able to see the FAHRION product range live and in real use. As trade partners of our company, you know our tools from the catalogue. In the FAHRION Centre of Expertise you can deepen your product knowledge and expand it to include practical experience. We demonstrate everything to you precisely in theory and in practise and gladly answer all your questions.We will also be only too pleased to invite you as our trade partners to visit us together with your end customers! As an end customer or prospective customer, you can experience the FAHRION products in practice here, without having to interrupt your own production to do so. See the quality of our products for yourself! We will be only too pleased to rise to the challenges of your everyday production and show you, using your materials and your cutting tools, how precisely and efficiently the FAHRION tools work. Save yourself time and costly tests that would hold up your own production. Are you interested? Register for one of our next training courses. We will also be delighted to arrange individual dates with you. Click here to see more from our YouTube Channel.